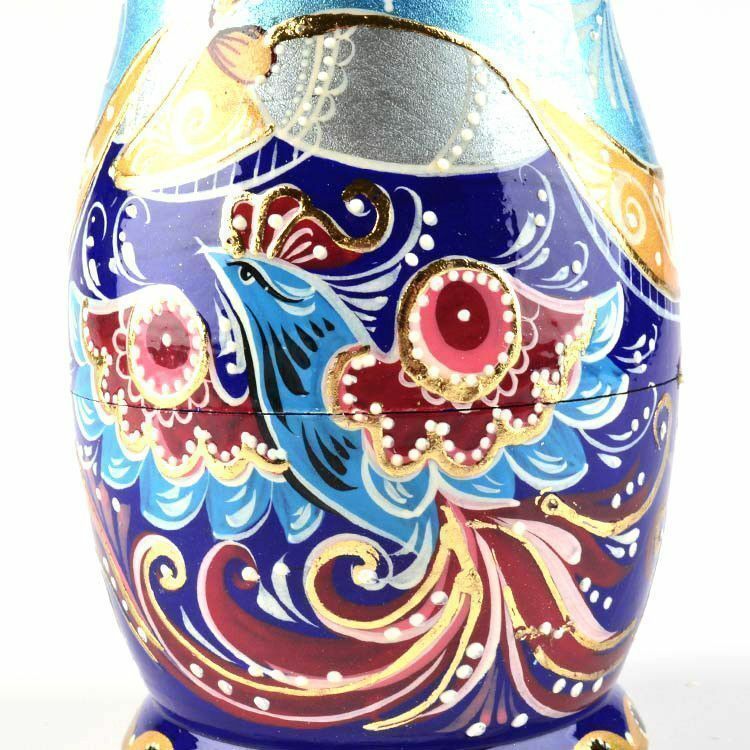 This blue bird matryoshka music doll plays the wonderful tune from The Nutcracker. 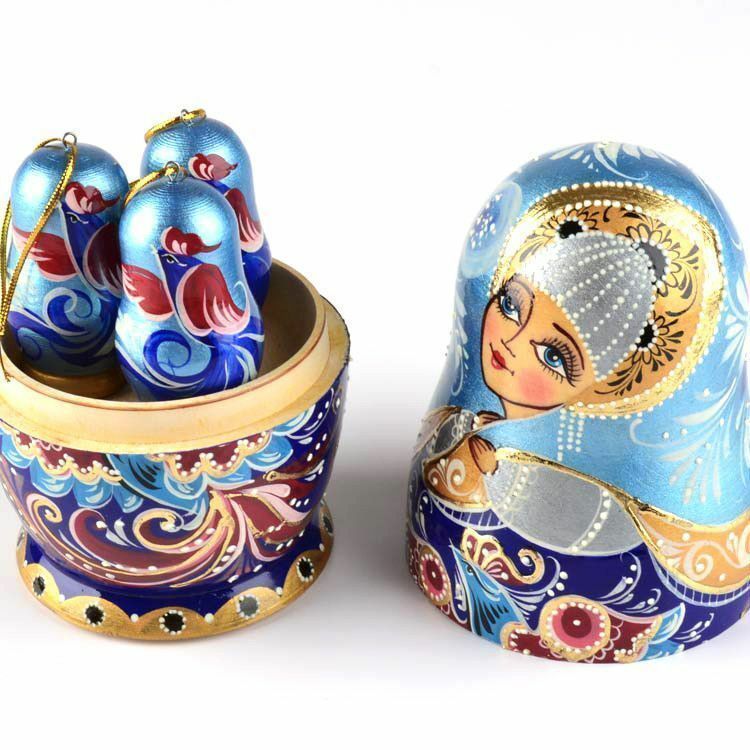 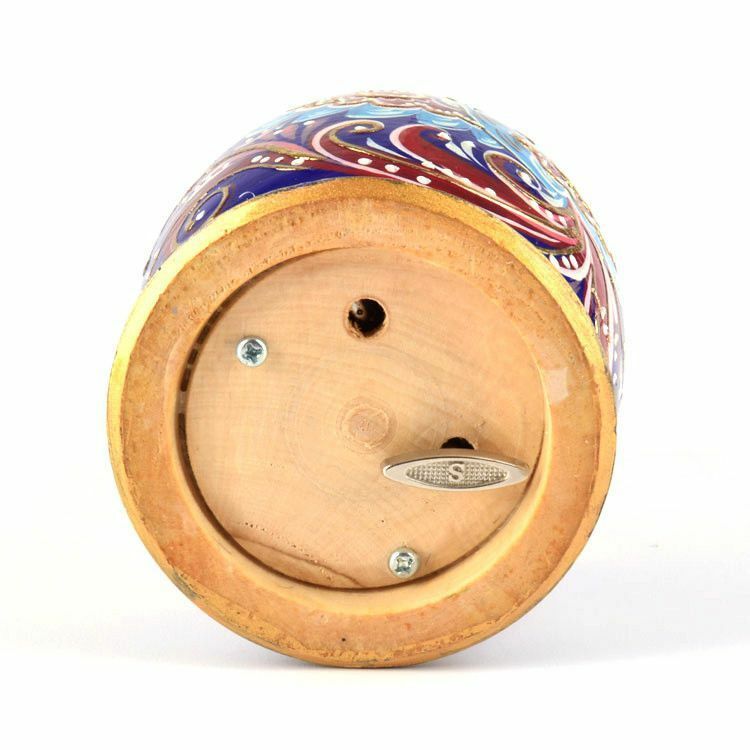 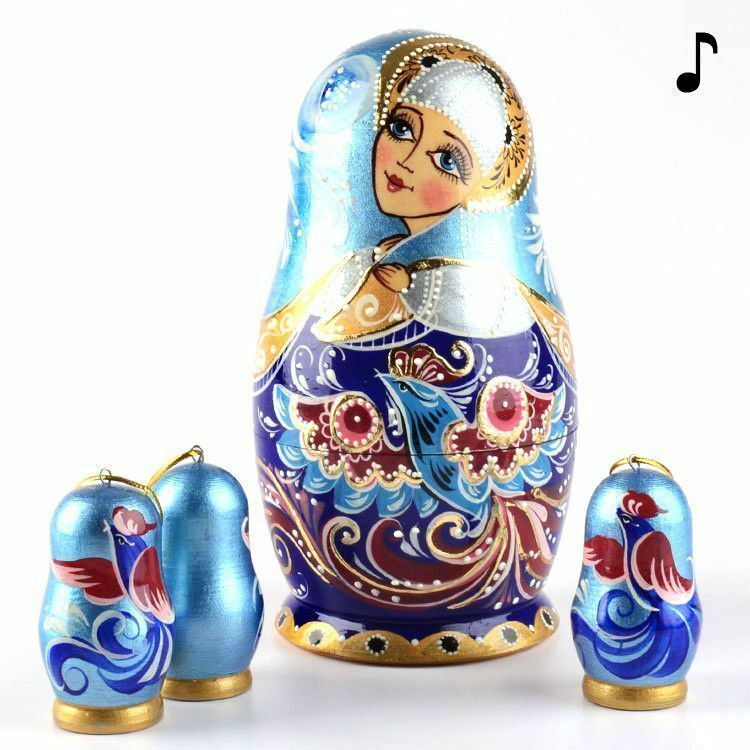 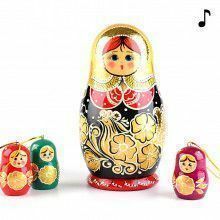 Wind it up on the bottom of the matryoshka, and then listen to music as you admire the beauty of Russian folk art. 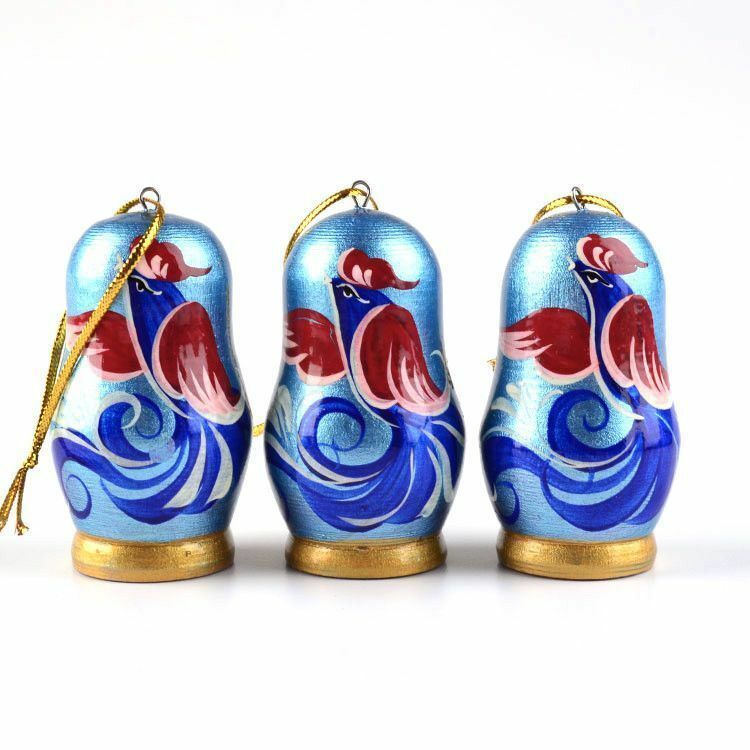 Open up the nearly 7" Russian doll and you will find 3 wooden doll ornaments that are about 2 1/4" tall each. 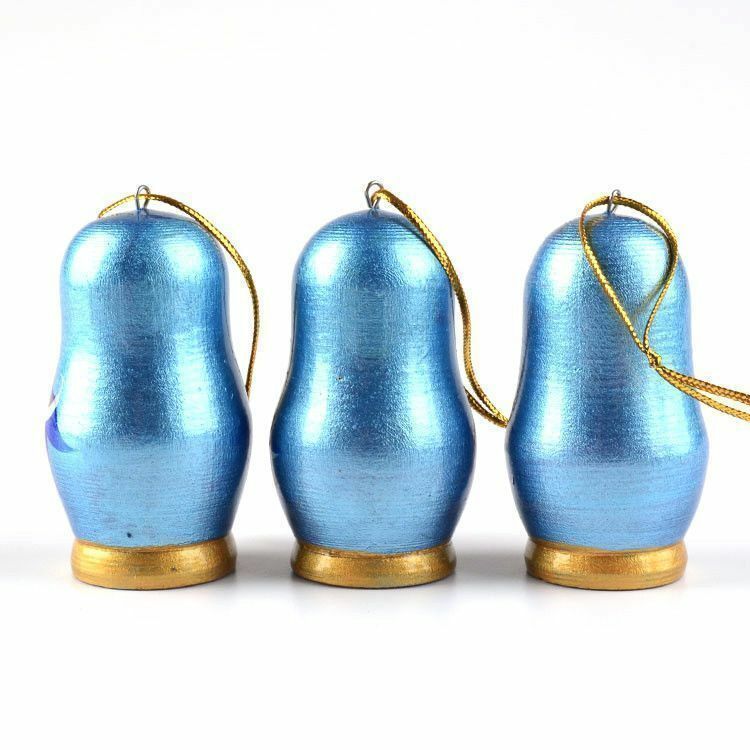 They have gold string already attached, so they are ready to be hung. 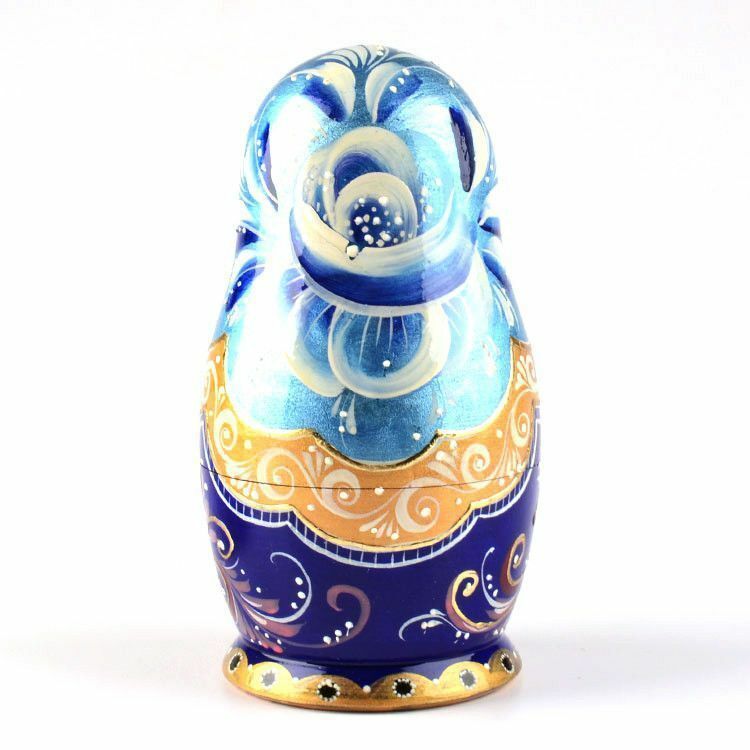 This doll also features shimmering blue colors and gold accents.